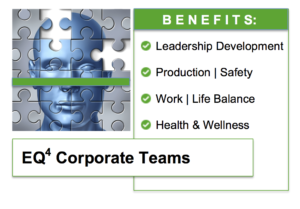 Emotional Quotient [Advanced Level I]: This two (2) hour course is designed for you and your core leadership team. An introduction to the direct organizational benefits to emotional intelligence skills and competencies within effective front line leadership; the science behind the valid and reliable instruments measuring critical inter intra-personal skills and abilities. 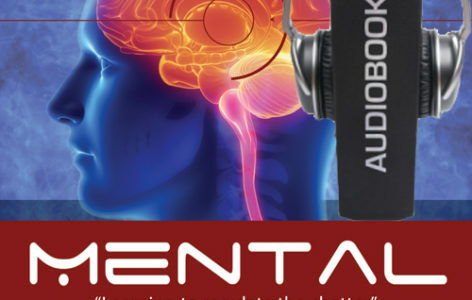 Featuring proprietary exercises to engage daily routines and develop the habit loop for long term benefits. Multiple training tracks, for more information or questions, please contact 866.487.2815. This course teaches proprietary application tools and a unique training system for day to day applications. A: Identify the skill sets and when you are using them in day to day situations. There are a growing number of emotional intelligence training classes to teach history, the science and definition of terms. 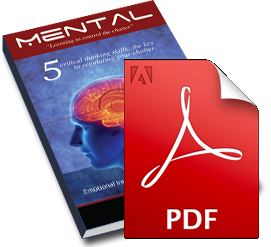 We go behind the science and get into day to day applications to develop these critical mental and emotional skill sets. 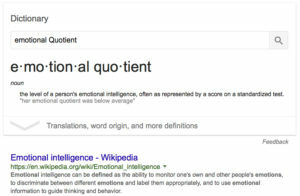 Recognize emotional quotient as a valid predictor for success in personal performance and leadership influence. 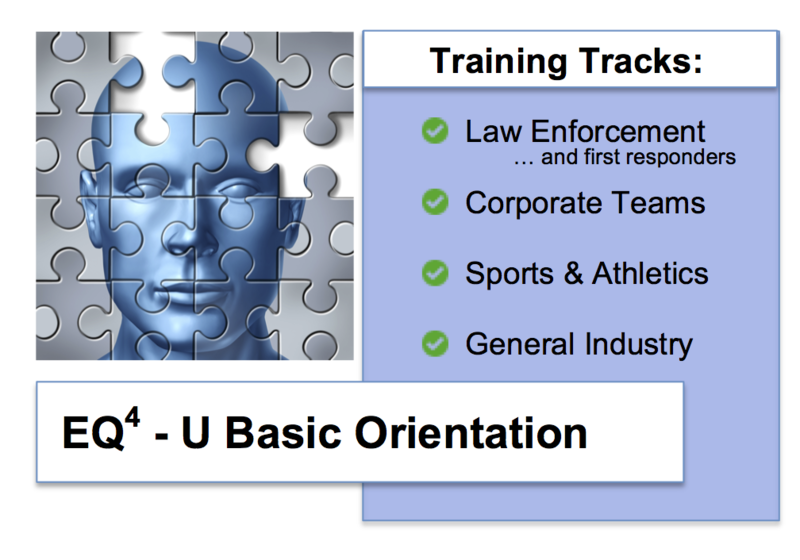 An industry call to action: Direct benefits of teaching emotional intelligence to Law Enforcement Training Academy Instructor’s provides a seamless implementation strategy to develop these critical skills and core competencies among senior and new hire candidates. 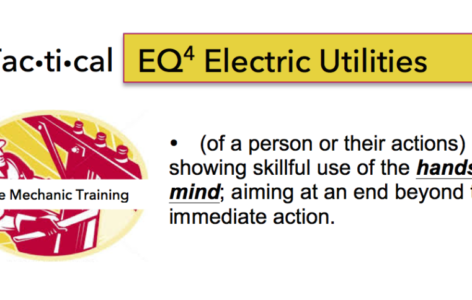 Teaching instructor’s the competency model and instrumentation to measure EQ will directly impact skills for Problem Solving. 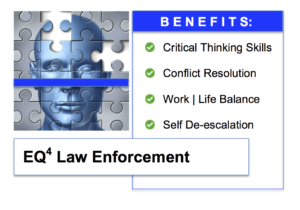 Conflict Resolution and Adapting To Change – all frequent and hazardous processes associated with the law enforcement profession. Indirect benefits to developing an agencies emotional quotient include reducing internal and external complaints, absenteeism and perhaps most importantly, personal de-escalation skills for arousal control that officers can learn to use on and off the job when creating work, life balance. 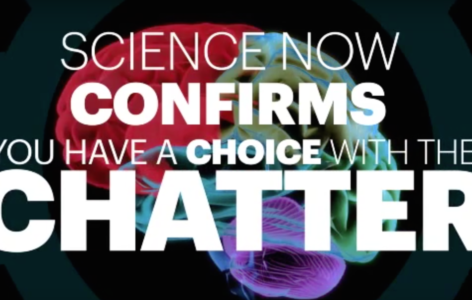 Mili-second to mili-second decision making that all takes place in the brain; we now understand and teach the brain-body sync in order to achieve what neurologists call Optimal States for the task. 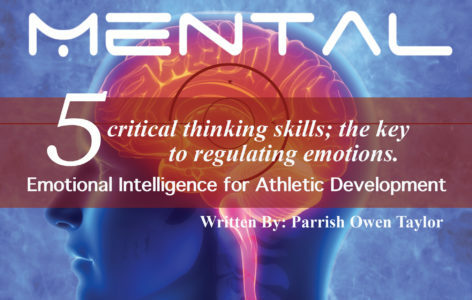 Simply put, an alignment between the Mindset (aka, attitude), Emotional States (aka, feelings) and the Physical Attributes (aka, fundamentals to the task or sport). 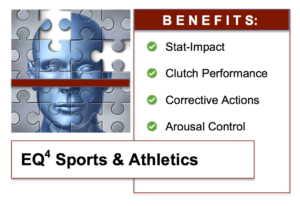 Coaches, Parents and players of all sports and competitive levels can now understand the science to elite performance and how getting in the zone requires a unique set of mental and emotional skill sets that one must learn how to use and develop in day to day routines. This daily habit loop and conditioning strengthen and prepares one for the pressure of athletic competition. Emotional Quotient directly impacts the Human Performance Strategies (HPI) based on a new set of technical skills directly associated with top performers; across multiple industries and high performance occupations emotional intelligence skill-sets consistently appear as a core predictor for success; including valid profiling instruments which can now be used to design personal learning and development paths based on an employee’s job title, rolls and responsibilities. Understanding EQ and how to apply emotional intelligence into daily routines is reserved for front line leadership as it requires the highest level of self-discipline and self-mastery to one’s own thought-process and emotional states. 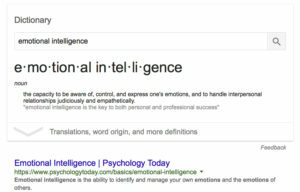 An effective leader demonstrating high levels of emotional intelligence will then strengthen their ability to influence others based on the social skills and competency model. In short, an employee may have all the technical knowledge, skills and abilities for the position and yet get along with no one and even more threatening to your bottom line – disrupt the emotional climate within your teams and departments.